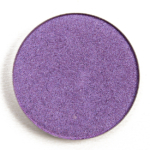 NABLA Cosmetics Satin Eyeshadow is an eyeshadow that retails for $8.00 and contains 0.09 oz. There have been 12 shades released, which you can select from below or jump to these sections: Review, or Description. 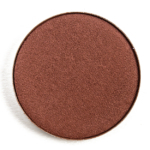 The brand has a few different powder eyeshadow formulations, and because they don't just differ in finish but in price, they're listed as individual formulas on Temptalia, but for ease, I wanted to keep the same overview available so it's easy to get a big picture overview of their powder eyeshadows generally! 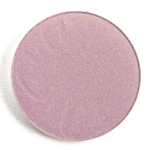 Satin Eyeshadows are supposed to have a "gentle sheen" with "the finest pearls" that will have "excellent adhesion" and be "long-lasting." They can also be applied wet or dry, and some shades did apply more smoothly or had better pigmentation when applied with a dampened brush, but the majority were easy to work with dry. The texture was smooth, firm but not too dense, and most shades blended out easily as the formula wasn't stiff to work with. Most shades lasted seven to eight hours. Top Coat Wet & Dry Eyeshadows are supposed to give a "wet effect" and can be used wet or dry but are suggested to be used by "dabbing them on with your fingers" or "trying it wet." I found that these varied--some were really soft, blendable, and extremely pigmented with more fleck-like sparkle and others were drier and firmer with a thinner texture that was stiffer to work with. Most of them did apply best with fingertips or with a dampened brush over a dry brush. This finish is more interesting than the others, but I'd pay attention to the specific shades as there was some inconsistency. The wear time ranged from six to eight hours and slight to moderate fallout. 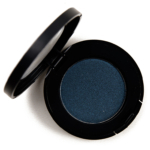 Super Matte Eyeshadows are "highly pigmented, completely opaque" with a "full, velvety" finish. The Super Mattes have a more finely-milled, velvety, and more substantial texture compared to the brand's Soft Matte eyeshadows, and I also found that they were much more pigmented than the Soft Mattes, too. There was more fallout during application if I wasn't careful due to the Super Matte shades being so pigmented, though. If one prefers building up coverage, the Soft Mattes would be more suitable. 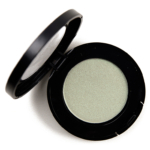 The eyeshadows in this finish tended to wear seven to eight hours on me. Soft Matte Eyeshadows are supposed to give a "soft and delicate" effect while blending "easily." 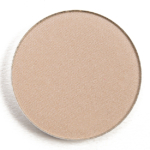 While the brand mentions "soft and delicate," the swatches they provided of the shades in this finish were showing opaque coverage in one layer, so the expectation would be for true, full color coverage, but a lot of the shades in the finish seemed more muted (which could be interpreted as "soft and delciate"). My experience was that the pigmentation ranged from medium to opaque but most shades were buildable, and I felt like buildable, matte eyeshadows are much needed and quite versatile--there's a huge difference in a poorly pigmented eyeshadow and one that can be pigmented, just requiring two layers--the latter gives one a lot of control over how it can appear in a look. The shades in this finish seemed to fade a little faster on me with six to seven hour wear on average. Pearl Eyeshadows are supposed to "apply evenly, blend well" with "excellent skin adhesion" and "long-lasting" wear with high pigmentation. 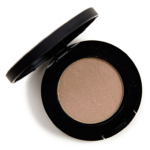 These are your m re typical shimmery, powdery eyeshadow formula with light creaminess, moderately dense textures, and are usually quite easy to blend out. Most of the shades had semi-opaque to opaque pigmentation that lasted between seven and eight hours on me. Some shades were very metallic and others were a soft frost. The Satin texture gives a gentle sheen to the eyes. It is characterized by the finest pearls that reflect the light to favor the three-dimensional look. The formula guarantees excellent adhesion to the skin and a long-lasting effect. By Stephanie 8 months ago. 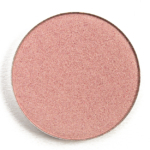 This shadow gives you a very, VERY subtle shimmer. You only see it when the light hits it at a certain angle and I wouldn't even be able to tell you what colour the shimmer is. Judging from the pan, it is a peachy pink. It also does not really appear to be buildable, no matter how much I apply, I do not get more pigmentation.